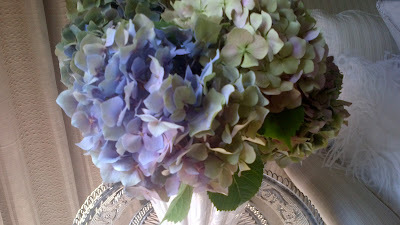 Hydrangeas are definitely my favourite flower. I love their vibrant colours, their beautiful green leaves and their amazing size. Once they dry, I make arrangements. 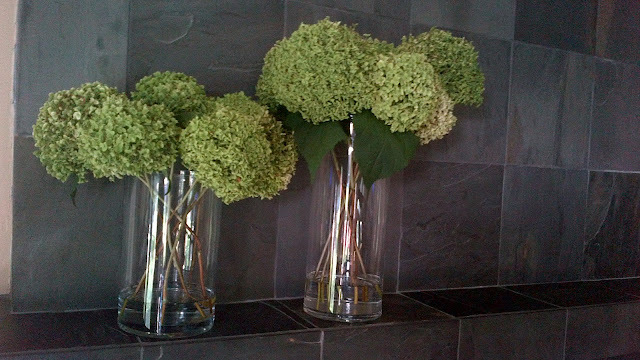 These blue hydrangeas are in a stone wall planter and hang between my closets in my bedroom. 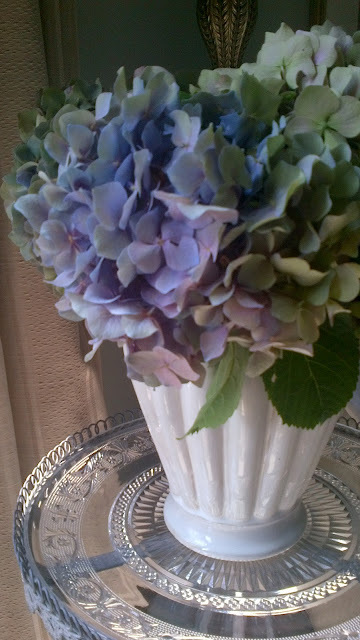 I love hydrangeas so much that I even have good quality, everlasting ( faux ) ones that I mix with dried flowers. Annabelle hydrangeas start out very white and gradually turn the most bright green. Once picked, I remove the leaves and place them in vases with just a bit of water in the bottom. They dry beautifully and retain their vibrant colour. And if you leave the Annabelle flowers on the plant long enough, they will turn brown. While some people might not care for brown flowers, they can make a fantastic centrepiece when arranged in a basket. 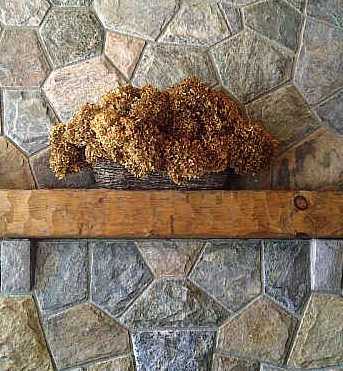 I also like to use the brown ones for a fall centrepiece. And if left and not pruned in the fall, the flowers add some textural interest in a winter garden. Another variety, Peegee Hydrangeas, have a cone shaped flower head. They look nice in a tall vase as well as cut short and clustered together. I also love white hydrangeas. One of my most favourite bouquets featured pure white hydrangeas. A few years ago, we had an amazing party to celebrate our 25th wedding anniversary and my dear friend, Vicki made a bouquet for me using pink peonies ( my second favourite flower due to their gorgeous scent) and white hydrangeas. It was such a special surprise and I loved carrying a bouquet just like I did as a bride. We are very lucky to have a climate that allows for these beautiful flowers to grow in our gardens. Thank you Mother Nature for Hydrangeas!